"He doesn't have a choice, much less one option that has been put in front of him." "Andrew had always been a big fan of going to the gym. He went almost every day and had talked about getting into the competitive side of it," Emma McCabe says, talking about her brother, Andrew O'Malley. "The sad irony is that this was responsible for his injuries." 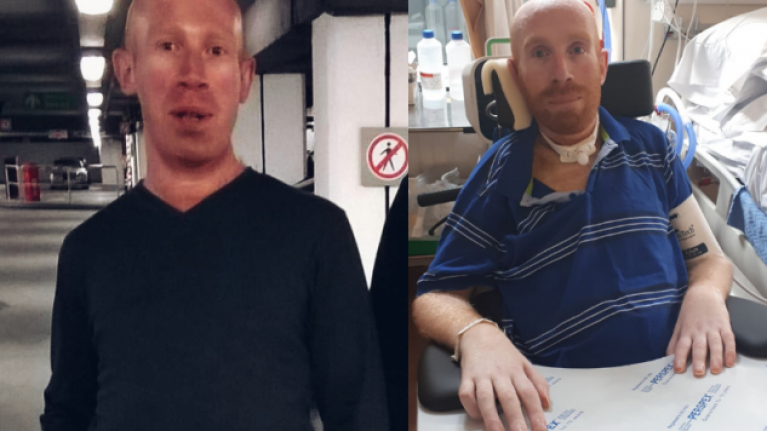 In December 2016, Andrew, from Leitrim, sustained spinal injuries as a result of an accident in a Sligo gym. The accident left him with only the ability to move his head and neck, and his shoulder partially and he was told that he would not regain any further movement in the rest of his body. In the days that followed, Andrew's family learned that the gym's owner did not have insurance and had left the country, leaving Andrew without any possible compensation. "It was a kind of basic bodybuilding warehouse, but he had no insurance, which is apparently legal in Ireland," Emma says. "We don't think it was a coincidence that the owner left the country, because it shut within a few weeks of the accident, and because he left and had no office in Ireland, he was untouchable." Within a month, Emma said Andrew had suffered from muscular dystrophy. "He was a big lad. He had built himself up, but we couldn't believe how quickly he went down to skin and bones. Since then, he has struggled to put that weight back on and it really worries medical staff." 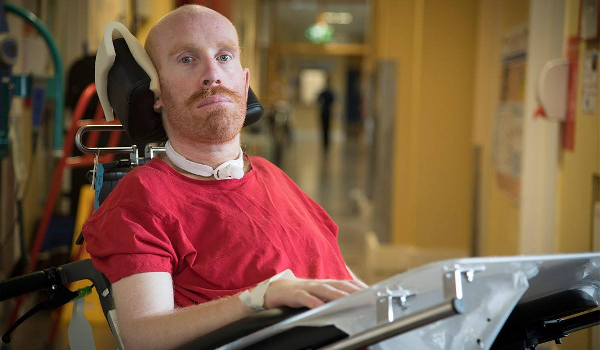 Now 32 years of age, Andrew has been in an acute hospital setting since the accident, and he is waiting on a decision from the HSE as to where he can go next. Describing his situation as "in limbo", Emma says: "That's at least the impression I'm getting so far, as the HSE hadn't been communicating with us until only a few weeks ago. We went public, and they've reassured me that they're looking into his case, but that's all I'm told. I'm none the wiser to this." Andrew's current problem is that there are no facilities in Ireland that can adequately care for his spinal injury. The aim is to ensure that he can eventually live in an assisted living situation, but the prospect is still uncertain, while his physiotherapy sessions have been reduced from six hours weekly to an hour and a half. One of the options Emma says they have been looking into is the Cheshire Ireland service, which supports people with physical and neurological conditions in residential centres. "To me, they sound ideal. 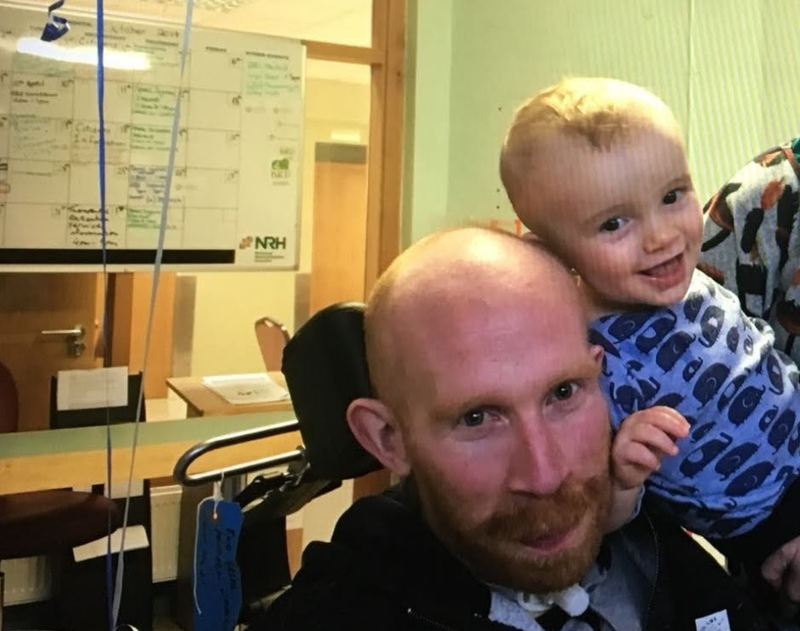 A person gets to live in an apartment or bungalow within a community, and there are staff on site, but we've been told that Andrew's injuries and medical needs are far too severe." The injuries resulted in Andrew having weak lungs, which means he struggles to catch his breath. At risk of chest infections, he requires regular intervention by medical staff in order to clear his airways and so, he uses a tracheotomy. He will need the apparatus for at least the foreseeable future, although there is a possibility that it may be permanent. The tracheotomy is also a necessity since his swallow reflex is weak, and since his windpipe cannot always close when he swallows, he is at risk of choking on food or even his own saliva. In addition, Andrew has autonomic dysreflexia, which is common among people with spinal cord injuries and leads to uncontrolled high blood pressure. Also requiring constant monitoring, "it means pressure can skyrocket without warning, leading to a stroke". "Andrew won't be able to recover from a stroke, so he is monitored very, very carefully. If his blood pressure rockets up, he could pass out," Emma says. "He has passed out quite a few times already." Although these issues are said to rule out a place like Cheshire Ireland for Andrew's care, Emma said the family have received no clarity on why exactly that is the case. "I've heard from different people that quadriplegic people live in their homes, and they have tracheotomies too," Emma says. "He's not even able to get a choice. He doesn't have a choice, much less one option that has been put in front of him. "It's just hard for him to stay positive when nobody gives him any inclination as to where his future will start exactly, or when it will start." Last night I raised the case of Andrew O’Malley and the need for those who run our disability services to be accountable to those they serve. Andrew has been living in hospital for the last 6 months, discharged but unable to find somewhere to go, it is simply not good enough. In order to start Andrew on the path towards living as independently as he can, Emma began a GoFundMe and Facebook campaign. These are the first steps towards purchasing the necessary medical equipment while paying for bills, physiotherapy and safeguarding measures. Setting the target as €1 million, in the first 24 days they have already raised over €18,000. "We passed that there, and it's fantastic considering this is before we start the full campaign. We wanted to initially hold off until he knew where his future would be, but the situation has meant we needed to go public and get his story out there just to get him to that next stage." The next stage of the campaign, Emma says, will involve encouraging others to arrange their own events. "There are two of us, and my brother Sean is working behind the scenes. We're still working on what exactly to do with the campaign because I have never fundraised before. "Andrew's still staying positive through all this. 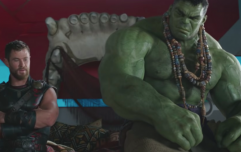 He's hopeful about the future, and as he has said himself, it will be a very different future from what he originally thought, but he's still excited." To donate or for more information, visit the campaign's Facebook, Twitter and GoFundMe pages.